Tourism Mazatlán’s Julio Birrueta | ¡VidaMaz! What’s the percentage of national to international tourists in Mazatlán these days? On average, who pays more for their holiday? I recently had the pleasure of interviewing Julio Birrueta, the friendly, no-nonsense Director of both the 25-year-old Mazatlán Tourism Board and the Mazatlán Hotel Association. It’s his office that runs the wonderful GoMazatlan.com site. Julio told me that Mazatlán has been a leader in tourism on the national stage for decades. When the Mazatlán Tourism Trust was founded 25 years ago, it was the first public-private partnership for tourism promotion in the country. Today, Mazatlán and Cancún are the only two destinations in Mexico with private-public partnerships to promote tourism. Other destinations express their envy of Mazatlán, because purely government-run tourism promotion often equates to an inconsistent message— the government changes every few years and new people bring new ideas. Other destinations also envy our 3% tax on accommodations; the amount is fully earmarked for tourism promotion. Thanks to this tax, as well as help from the Federal Tourism Board and SECTUR, Mazatlán is able to employ PR agencies in Canada, the USA, and Mexico. Mazatlán has also been a national leader for the way we recovered from recent setbacks. In 2008, the world economic crisis hit. In 2009, it was the Bird Flu. In 2010, Mexico’s national economy fell, and in 2011 the cruise ships pulled out. Julio explained that it was thanks to Mazatlán’s very active and engaged expatriate community that things turned around. Many visitors as well as foreign residents recorded videos talking about their experiences here, addressing safety issues in particular. Julio and others played those videos at every industry event for nearly two years. Audiences believed the message because it was people like them saying it, rather than something a tourism official claimed. “I don’t know that we’ve ever publicly thanked Mazatlán’s foreign community in an English language outlet for their incredible support. I’d like to do that now. Thank you. Your love of our city made a huge difference to its future.” Julio told me that when Puerto Vallarta recently had its own crisis, the Federal Tourism Board called SECTUR to get advice and hear the inside scoop on how Mazatlán engineered its recovery. After their success, Acapulco came asking for help, as well. The Mazatlán Tourism Board is comprised of our two local hotel associations, the municipality, and the state. The Technical Committee meets three times a year to agree on plans and budget. The Marketing Committee, composed of the Sales Directors of every hotel as well as the three GMCs, meets at least every two months, and of course there are ongoing phone calls, meetings and texts. While Julio’s office only has three employees, staff at hotels around the city volunteer their time, expertise and connections to perform the various roles needed. For example, a local hotel sales director is responsible for encouraging airlines to bring more seats our way, and a hotel vice president negotiates how much money we get from Federal Tourism. The Mazatlán Hotel Association includes 80% of the municipality’s hotels, including those in Centro Histórico north to the Fishermen’s Monument, and from Valentino’s north. Mazatlán’s original Tres Islas Hotel Association includes the hotels on the malecón from south of Valentino’s to the Fisherman’s Monument—the other 20% of the hotels in Mazatlán. Tres Islas, for example, created the Festival de la Luz, the fireworks show held annually in conjunction with the Maratón del Pacífico, and everyone promotes the event. We are fortunate that every hotel in town promotes Mazatlán as a destination; the port has a very united message. The destination is first, and hotels pay their own expenses and contribute rooms, meals or staff to help make events happen. Mazatlán is blessed with two distinct seasons for different kinds of tourists. Nationals love to visit Mazatlán’s beaches in the hot summer months; winter is too cold for most of them, at least for the beach. In contrast, Canadian and US American snowbirds love it here in the winter months. The new highway to Durango has brought us record occupancies in the warm months. Before 2010 Mazatlán had an equal balance of international and national tourists. By 2013 that had changed to 80% nationals and 20% internationals. That drastic change was very tied to the changing image of Mexico in North America and on the world stage. Now the trend is reversing and more international tourists are coming. As most of us observe, Julio reports that national tourists tend to travel with extended family: three to four kids and the mother-in-law—“with the dog and the parrot,” as they say in Spanish, or “familia burrón.” Nationals generally make their travel decisions close to the date of travel, and because of that they pay 30-40% more for their accommodations. They stay and average of two to three nights—over a weekend. They want banda music on the beach, and the younger crowd wants to go out clubbing. Fortunately, their transportation expenses to get to Mazatlán are less, whether they come by highway (bus transportation is popular) or air. International tourist, on the other hand, tend to stay no less than five nights, often seven or fourteen. They spend more money in Mazatlán because they’re here longer, they take more tours, and they go out and dine at different types of restaurants. They play golf, go fishing, and purchase more time shares than nationals do, though that’s changing. I asked Julio what plans they have that our readers would be interested in knowing about—perhaps he had a secret or a scoop to share with us? He tells me they plan to double the advertising budget in 2017, and increase the public relations budget by 20%, thanks to higher occupancy rates, more money from the state, and hopefully more federal funds as well. Plans are to bring in foreign journalists and bloggers, focusing on special events and unique experiences. They’ll add in a section on their website for conventions and events at the International Center (MICA: Meetings, Incentives, Congresses and Events comprises 28% of our national occupancy and growing), and another section for destination weddings. 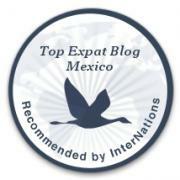 Readers of this page know that for nearly a decade I’ve been promoting cultural and religious tourism to the municipality of Mazatlán. Fortunately Tourism has started to value and promote our cultural heritage more. The good news that Julio shared with me is that from 2017 the Tourism Board will add religious tourism to their promotions. So, do you want the answers to my lead-in questions? Julio says that nationals currently comprise about 70% of our tourists (and 70% of them arrive by car). If you count cruise ship passengers, that total goes to 60% national and 40% internationals. Surprising to me, on a per-night basis nationals tend to pay 30-40% more for their stay in Mazatlán than do internationals—foreigners tend to plan farther ahead, stay longer, and purchase package deals. Of course, because international tourists tend to stay longer, they invest more total money in Mazatlán on a per capita basis. Airfare prices are a definite concern for Julio. He says the solution is to bring in more airlines so that competition and more seats lower prices. Their strategy is to focus on specific markets with marketing plans, as Mazatlán has done with Calgary and Minneapolis. Foci will include Chicago, Denver and Seattle, which will in turn give Mazatlán more connectors from a broad number of cities. As to the frequent rumor that other cities subsidize the airlines, Julio bets they don’t. Good information, thanks. Julio still doesn’t explain why people can fly from NOB to Vallarta or Cancun or Cabo for a fraction of what it costs to fly here. He explained it’s due to volume, and that we need competition from more airlines. End of my article, I believe….